(NewsUSA) - Headaches? Neck pain? Numbness and tingling in your fingers? 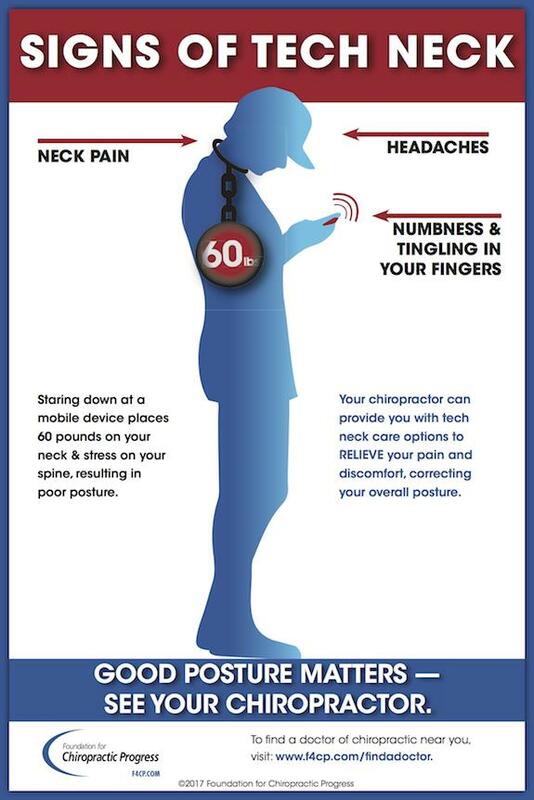 Yep, you've got all the signs of "tech neck" - courtesy of incessantly staring down at all those mobile devices of yours. Know, though, that given those extra pounds of stress you've been putting on your spine, not only can doctors of chiropractic provide you with options for relieving your pain, they can also help correct the overall poor posture that tech neck results in.